Whether you want to travel the world, own your own house or simply live debt-free, there are three simple tips that can get you that little bit closer to your goals. Before you can achieve your early retirement or round-the-world trip, you need to know what it really takes to get there. Calculate the exact financial cost of achieving your dream, including contingency plans, and consider every practical issue around it before you really set your heart on getting there. Once the details are clear, you can calculate how long it will take with your current rate of earning/saving. Knowing exactly what it will take to reach your goal will make it easier to stay on track. It will also help build the resolve you'll need during setbacks. If your life goal seems distant right now, there's no harm in plotting short-term goals in the meantime. It's also important to feel like your goal is realistic and achievable. Even when you can see your goal clearly, that doesn't mean your path should be set in stone. In fact, sticking to a set plan leaves you open to the risk of being too rigid. With this mindset, it's easy to slip into the habit of saving only the bare minimum, making it harder to reach your goals at a faster speed. The reality is that achieving long-term goals involves keeping an eye on developments, and constantly reassessing your plans. In a financial sense, this could mean considering alternative investments when the traditional savings accounts and property investments aren't delivering. In a lifestyle sense, it could mean switching energy providers or even changing jobs. The crucial thing is spotting an opportunity, and then applying close scrutiny of the pros and cons, before making a rational decision as to whether a change is worth it or not. Once you have the will and the way, there is no room for complacency. Even when things seem to be heading in the right direction, it's important to keep a firm hand at the helm to maximise your time, energy and finances. Keeping records of your income and outgoings, as well as unexpected costs, will not only give you an idea of how you are progressing, but will give a clear view of where you can improve your efforts. It doesn't have to be a slog either, especially if you make the most of the tools on offer. Our free Money Dashboard budgeting software, for example, is a quick and easy way to automatically assemble all of your financial data into one place. You can tag and display all of your financial data according to your own needs, and it doesn't cost a penny. 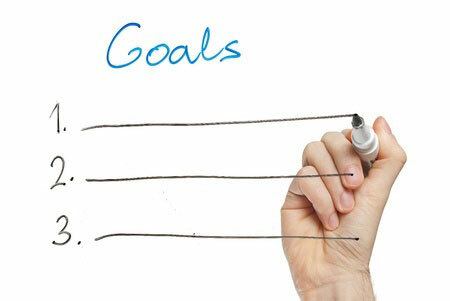 You can even integrate targets to ensure you're on track to meet your life goals.